Category Archives for "Sheffield And Tinsley Canal"
Calder Valley Marine now occupy offices and the waterspace at the prestigious Victoria Quays in Sheffield and will be operating the Quays as a fully operational marina. This is excellent news for this business which has been based primarily in the West Yorkshire area. Victoria Quays is only a matter of yards from the city’s Castle Market which is situated close to Sheffield City Centre. Victoria Quays lies on the Sheffield and Tinsley Canal and is situated just 5 minutes drive from jct. 33 on the M1, the area was regenerated in the early nineties by British Waterways with the conversion of warehouses and the railway arches together with the construction of new commercial buildings within and around the Quays. One of the most striking and interesting of these is the historic ”Straddle” building which as the name suggests straddles the whole canal basin has been converted into office space and residential use. It was built by the Sheffield and South Yorkshire Navigation Company between 1895 & 1898. Calder Valley Marine plan to turn the Victoria Quays into thriving bustling marina, the intent is to invest in the Quays to provide the facilities such as diesel gas and chandlery plus new and pre-owned boat sales, they will also provide a full time presence at the Quays in a bid to provide the modern discerning boater the things he/she requires in the twenty first century. Since the takeover of the marina Gordon Lambert, managing Director of Calder Valley Marine has negotiated a deal with Tim Tyler and Jonathan Wilson of Tyler/Wilson Boatbuilders and are now able to offer the high quality shell to the public . Many examples of their work are available to view for the public to view in a non factory setting, but accompanied factory tours will be available upon request. This will enable Tim & Jonathan to concentrate on what they do best which is build the high quality steelwork they have built a reputation for the length and breadth of the Country. 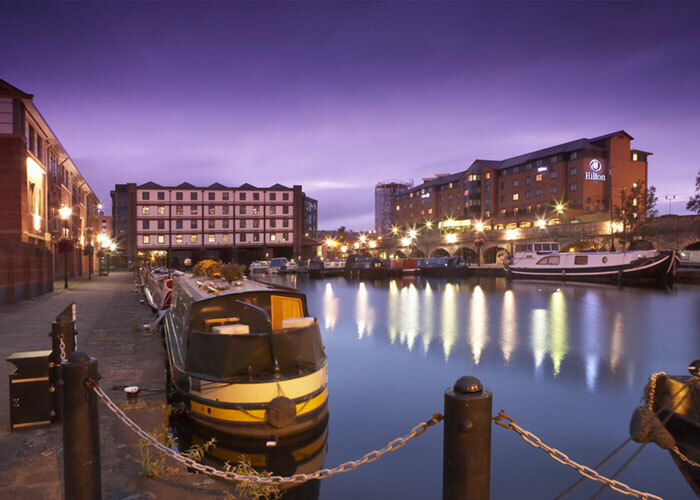 Calder Valley Marine now occupy offices and the waterspace at the prestigious Victoria Quays in Sheffield and will be operating the Quays as a fully operational marina. This is excellent news for this business which has been based primarily in the West Yorkshire area.Victoria Quays is only a matter of yards from the city’s Castle Market which is situated close to Sheffield City Centre.Victoria Quays lies on the Sheffield and Tinsley Canal and is situated just 5 minutes drive from jct. 33 on the M1, the area was regenerated in the early nineties by British Waterways with the conversion of warehouses and the railway arches together with the construction of new commercial buildings within and around the Quays.One of the most striking and interesting of these is the historic ”Straddle” building which as the name suggests straddles the whole canal basin has been converted into office space and residential use. It was built by the Sheffield and South Yorkshire Navigation Company between 1895 & 1898. Calder Valley Marine plan to turn the Victoria Quays into thriving bustling marina, the intent is to invest in the Quays to provide the facilities such as diesel gas and chandlery plus new and pre-owned boat sales, they will also provide a full time presence at the Quays in a bid to provide the modern discerning boater the things he/she requires in the twenty first century. Since the takeover of the marina Gordon Lambert, managing Director of Calder Valley Marine has negotiated a deal with Tim Tyler and Jonathan Wilson of Tyler/Wilson Boatbuilders and are now able to offer the high quality shell to the public . Many examples of their work are available to view for the public to view in a non factory setting, but accompanied factory tours will be available upon request. This will enable Tim & Jonathan to concentrate on what they do best which is build the high quality steelwork they have built a reputation for the length and breadth of the Country.